More than half of all new condo and townhome communities in the Valley offer a lap-sized pool, while a significant percentage offers a smaller, but often just as stunning, play pool. Two popular options for condo and townhome pool designs are rooftop and negative-edge. 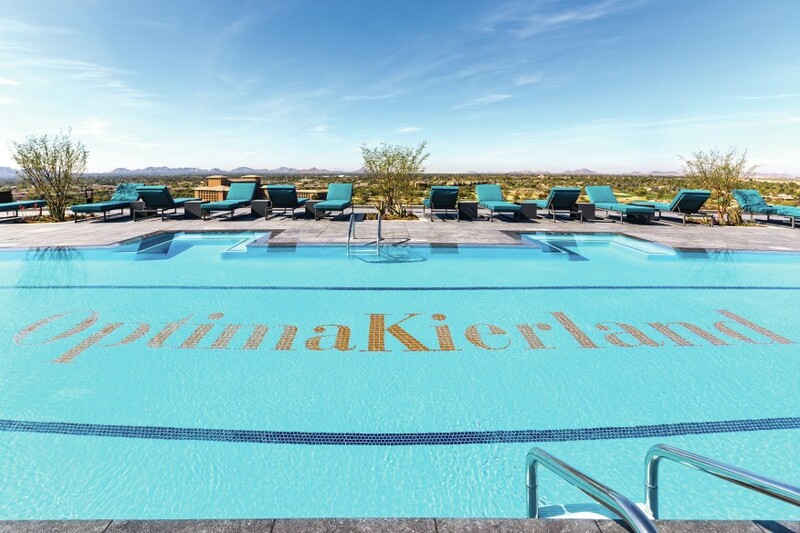 Both of those happen to describe the pool at Optima Kierland. Hovey said that with this type of roof-deck pool design, “usually there is a glass wall for safety. By dropping the wall out of view but keeping the safety and code aspect in place, the effect is an infinity-edge deck with outstanding views in most directions.” At Valley Ho, the pool is shaped to suggest a martini glass. “Back in 1956 when this hotel was built, it was a getaway for Hollywood stars. Martinis were the drink of choice,” Cavanaugh said. “The oversized circular pool is right in the middle of all the chairs. There is a DJ every Saturday and Sunday with an open-air bar at the pool.” “A unique pool can give condo and townhome buyers an experience they may not be able to enjoy almost anywhere else,” Mishkin said.“A pool is an oasis of sorts that can help make condo or townhome living ideal,” he said.